Our flame-resistant Work-Dry lightweight twill shirt is a great addition to your workwear. 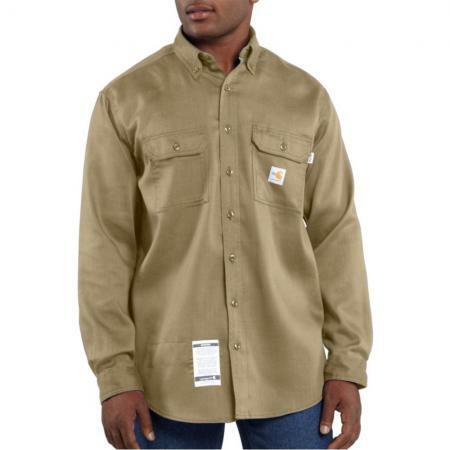 Made of 6-ounce, flame-resistant twill, it features a left chest tradesman pocket with easy angle pen pocket, a double-front utility pocket with button closure and a right chest pocket with button closure. The shirt also has flame-resistant melamine buttons, a button-down collar, triple-stitched main seams and a shaped shirt tail.